flowmasterJopic was established in 1995. With the vast experience of customer satisfaction, flowmasterJopic has became the leading company of its kind in Pakistan.We offers a complete service ranging from design and execution of Fountains, Landscaping, Musical and automatic Dancing Fountains, Residential and Commercial Swimming Pools, SPA Equipments, Waterfalls , water games, etc., backed up by a comprehensive maintenance service. We also deal in pool chemicals, filters, heaters, pumps, pipe fittings, diving board, maintenance kit, pool slides, Sauna, mosaic tiles, fountain equipment and pool ladder along with complete installation and refurbishment of existing pools. Our services includes design and execution of swimming pool , fountains , landscaping , waterfall, water slides / water games and we are the largest supplier and dealer of all kind of swimming pool equipment , fountain equipment, Sauna and sprinkler system in Pakistan. 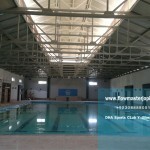 flowmasterJopic is pioneer swimming pool service provider in Pakistan. Our services includes swimming pool designing, swimming pool construction and we also provide consultancy service for commercial swimming pool. 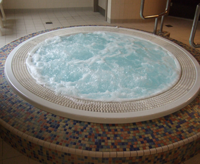 We deal in all kind of commercial pool of various sizes along with mosaic tiles floor & Jacuzzi according to the requirement of the client. We deal in all kind of indoor and outdoor fountains of various shapes and designs. Fountains can boost the beauty of your home, office, shopping mall or park..etc and can help in providing a pleasant and refreshing sight to the eyes. Water games are the new addition in the flowmasterJopic family. Our water games product list includes water slides, water tubes , water umbrellas etc. which are specially designed for commercial water parks. 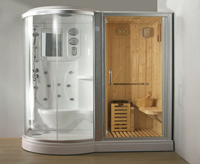 We deal in all kind of swimming pool equipment ( i.e. pool heater, skimmer, sand filter, pump, pool ladder, diving board, underwater lights, chemicals, filters, pumps, pipe fittings, maintenance kit, pool toys etc. ) 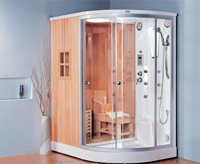 , Sauna room, Sauna Heater,Jacuzzi, Sprinkler and irrigation System and other products..
We supply swimming pool equipment and Fountain equipment to all the major cities of Pakistan like Lahore, Faisalabad, Multan, Islamabad, Rawalpindi etc. and are trained to the highest standard. So whatever the requirement is; we can provide the best quality products and services. Complete range of pool equipment, maintenance kit, pool chemicals, pump, sand filter, skimmer, pool grating, underwater lights etc. are available.. Copyright © 2019 Flowmaster Jopic All rights reserved.